The United States Mint will officially launch the America the Beautiful Quarters® Program coin honoring Lowell National Historical Park on Wednesday, Feb. 6, at 10 a.m. EST. The ceremony will take place at the Lowell Memorial Auditorium. 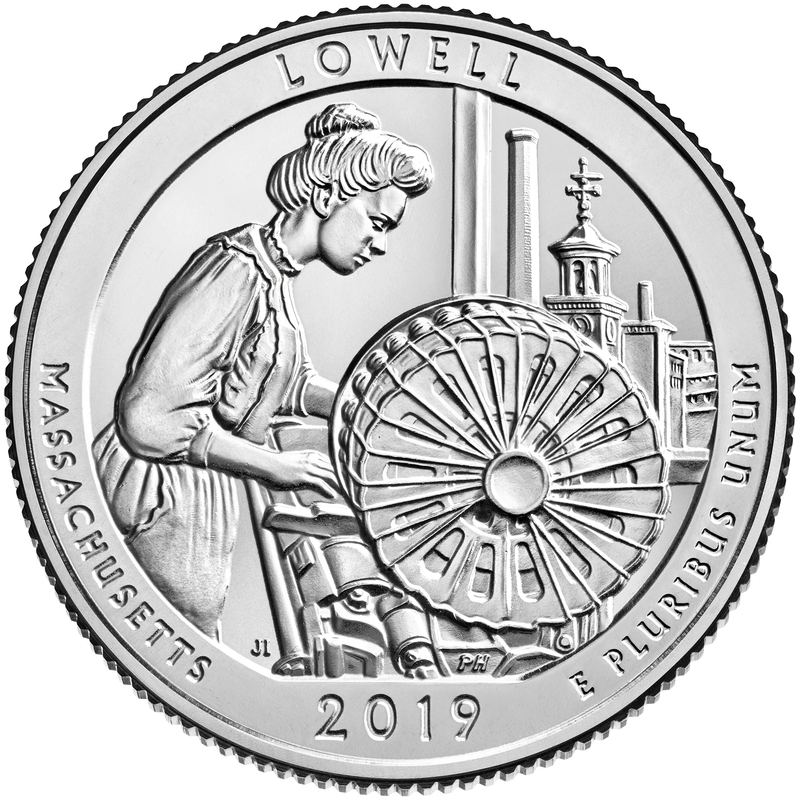 The United States Mint will host a coin forum the evening before the launch ceremony—Tuesday, February 5, 2019, 6:30–7:30 p.m. EST—at the Lowell National Historical Park Visitor Center Theater, 246 Market St, Lowell, MA. The coin forum is an opportunity for the public to learn about upcoming United States Mint coin programs and initiatives, and express their views about future coinage. The Lowell National Historical Park quarter is the 46th release in the United States Mint America the Beautiful Quarters Program, a 12-year initiative that honors 56 national parks and other national sites authorized by Public Law 110-456. Each year, the public will see five new national sites depicted on the reverses (tails sides) of the America the Beautiful Quarters. The United States Mint is issuing these quarters in the order in which the national sites were officially established.